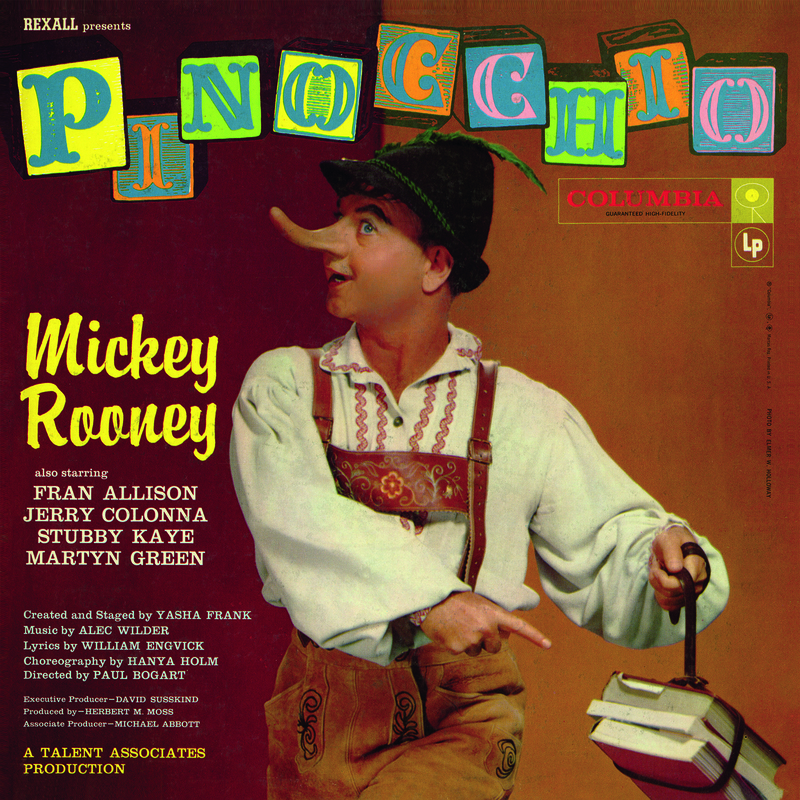 The night of Sunday, October 13, 1957, saw the first television pro­duction of a new musical version of the old Italian favorite, Pinocchio, starring Mickey Rooney and a host of brilliant performers. In the adap­tation, told in songs, dance, and rhyming text, the old woodworker Gepetto once more fashions his own “little boy,” a long-nosed puppet whom he names Pinocchio. And once more the puppet goes through a series of amusing and fantastic adventures before he is magically transformed into a human being. Decorating this production of Pinocchio throughout are the en­chanting songs of Alec Wilder and William Engvick. Mr. Wilder, one of America’s foremost popular musicians, is famous for his unusually winning ballads, among them “So Peaceful in the Country,” “While We’re Young” and “Who Can I Turn To,” and for his more sophisticated compositions such as “Love Among the Very Young” and “ The First Warm Day in May,” as well as his thoughtful and melodic instrumental works. William Engvick, the lyricist, has worked closely with Mr. Wilder before, as well as with many other major composers, has contributed lyrics for a substantial number of hit songs. Yasha Frank, who devised the playful adventures around the old story, began his show business career working with the fabulous “Roxy” at the Capitol Theatre in New York; he later worked with Paramount Pictures and on the staff of Columbia Broadcasting System.